hd00:15Blue background. 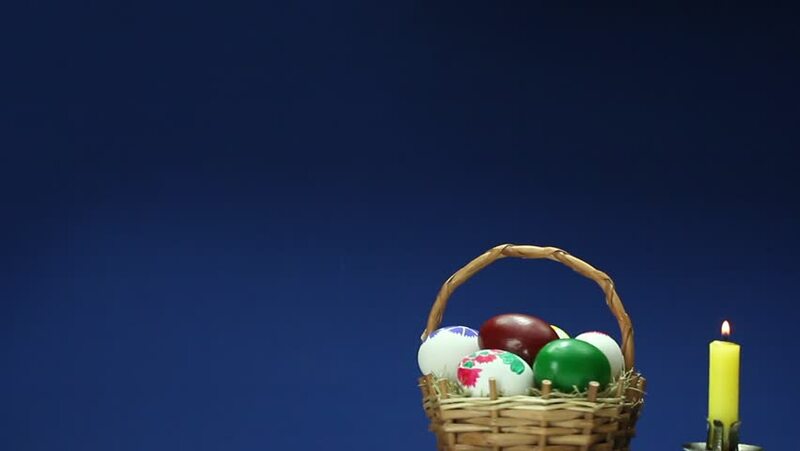 The Easter basket with hand-painted eggs turns and around it the inscription "Happy Easter" rotates. 4k00:31Close up shot of group of three colorful hand painted Easter eggs in a woven basket rotating against light blue or cyan background.